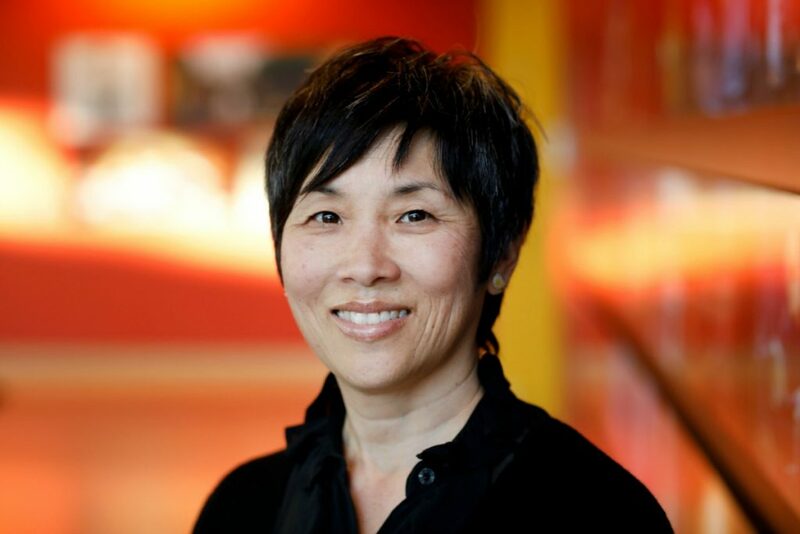 I attended an all expenses covered press event at Pixar Animation Studios. All opinions are mine. When I was a little girl, I had a couple of friends named Stacy and Angie. I have a lot of fun memories of playing at their house. They taught me to play Pinochle and showed me the wonders of making doll clothes. I think I’ve mentioned this before…I come from a long line of non-crafty people, and we certainly don’t sew. 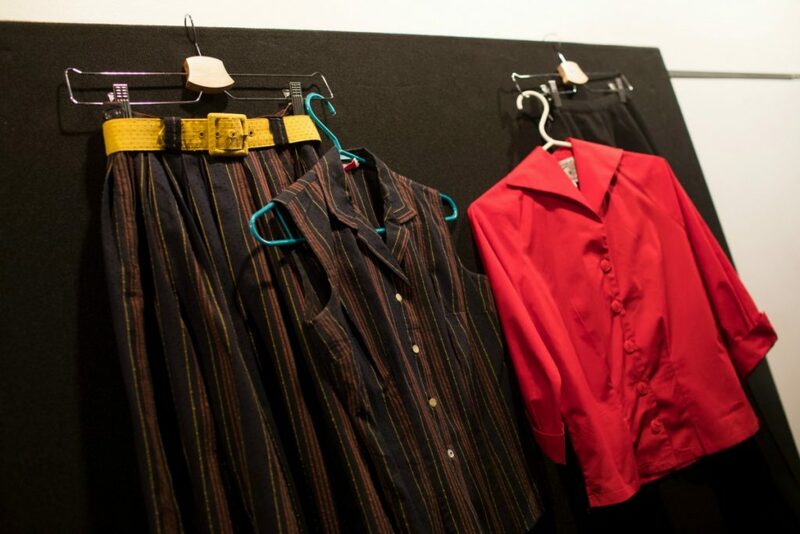 Stacy and Angie were doing wardrobe design and costuming before they were 10 years old. The closest I ever came to designing clothes was playing with Fashion Plates! I don’t know if Stacy or Angie went on to work in a creative field, but they sure had a lot of passion for design as girls. 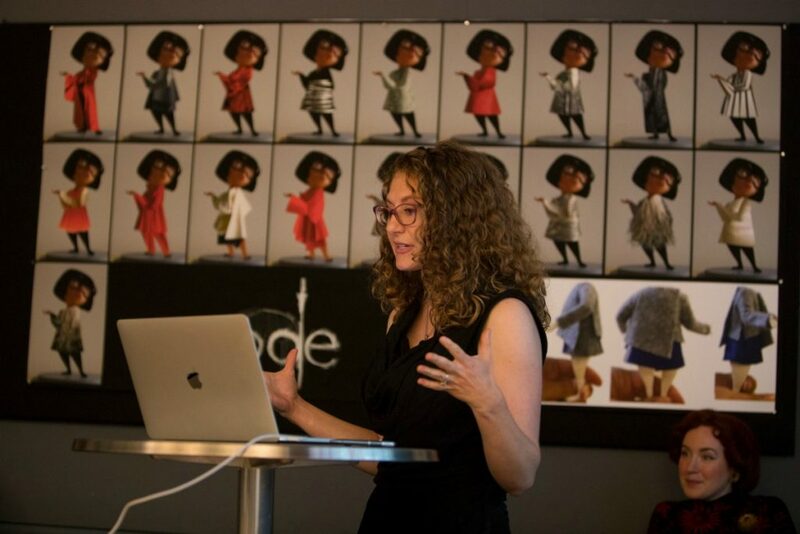 I was fortunate enough to meet the women behind the wardrobe design and costuming on INCREDIBLES 2 who talked to us about their passion for design. Hearing Deanna Marsigliese talk about her passion for design reminded me of being a little girl. 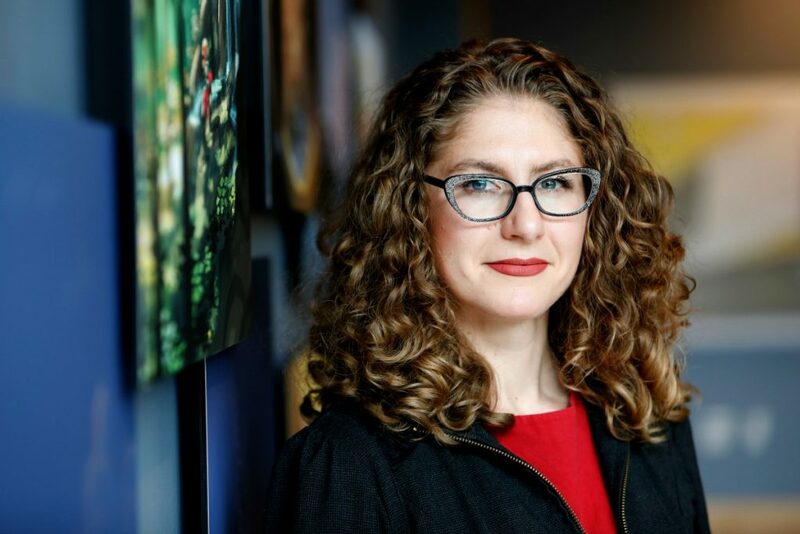 Deanna told us that she’s always had a passion for art and design, and she followed that passion. She loves mid-century modern style and fashion. In fact, she even dresses in this era’s style. She’s true to herself, and you can feel her passion and excitement when she talks about mid-century modern design. Her excitement was contagious, and I loved this session. I had no idea how much work went into wardrobing and costuming animated characters. She told us that it’s just like costuming for a live action film. Deanna calls her style of character costume design creatively theoretical abstract thinking through storytelling. 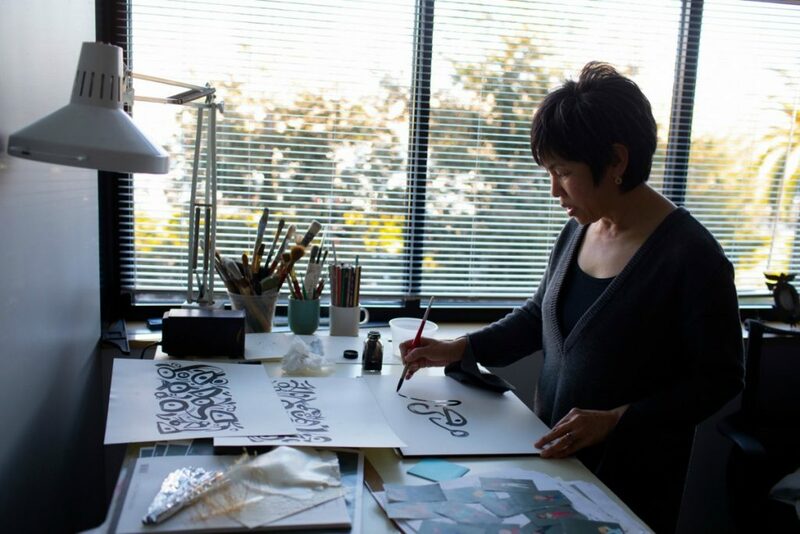 She tells a story through her designs, so she has to think about what story she’s telling. She looked to the original INCREDIBLES and Edna Mode for inspiration. Edna is bold and dramatic! She is a no-holds barred kind of designer, and we love her, dahling. Edna Mode lives in the now, and she never looks back! I admire E for that. Her style reflects her attitude, and though it’s iconically 50s and mid-century modern, it is bold just like E. So this is Deanna’s creatively theoretical thinking. On the flip side is creatively practical, and she had to think this way to outfit background characters. She looked at 1950s home sewer patterns, and they had bold shapes, clean silhouettes and a tailored fit. Background characters are supposed to blend in, so she and the team created a wardrobe that could fit multiple characters and be similar but different in color or fit. One jacket could be long or cropped. The same with pants or a skirt. That way, the looks are similar, but they’re different enough from the main characters that they don’t stand out. 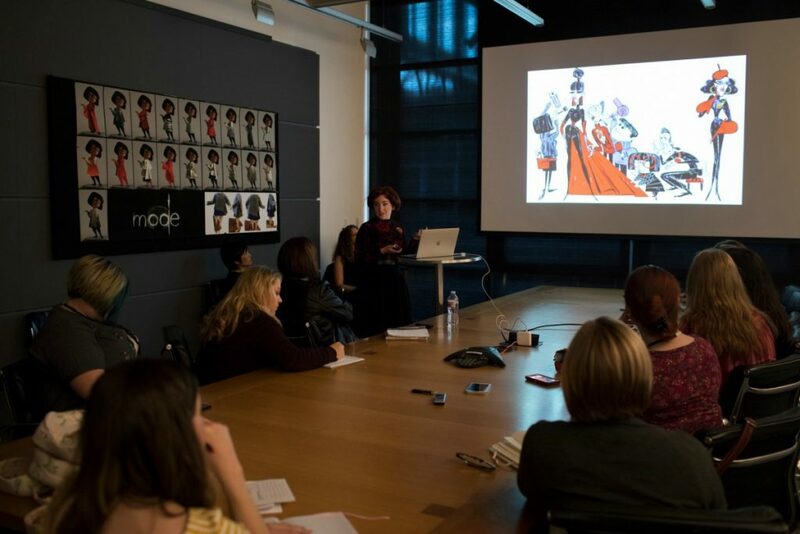 Bryn Imagire was the shading art director on the original INCREDIBLES movie. 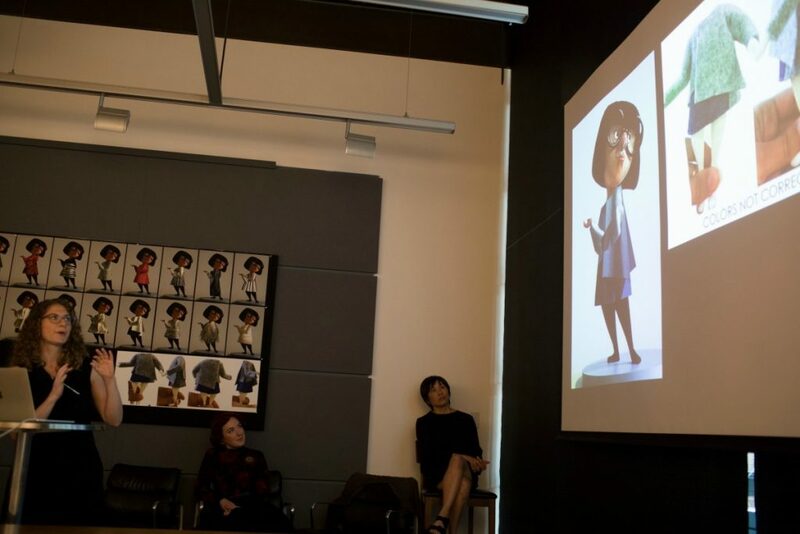 While working on INCREDIBLES 2, she kept the design ideas from first film, but she had the freedom to reference current clothing since fashion isn’t set in stone. Think back to THE INCREDIBLES. That movie was created over a decade ago, and technology has come a long way since its release. When the first INCREDIBLES was created, the characters’ suits were shaded right onto the bodies. They moved like skin. Now technology can make the clothing move like clothing! Bryn believes that the costumes can shape the character. 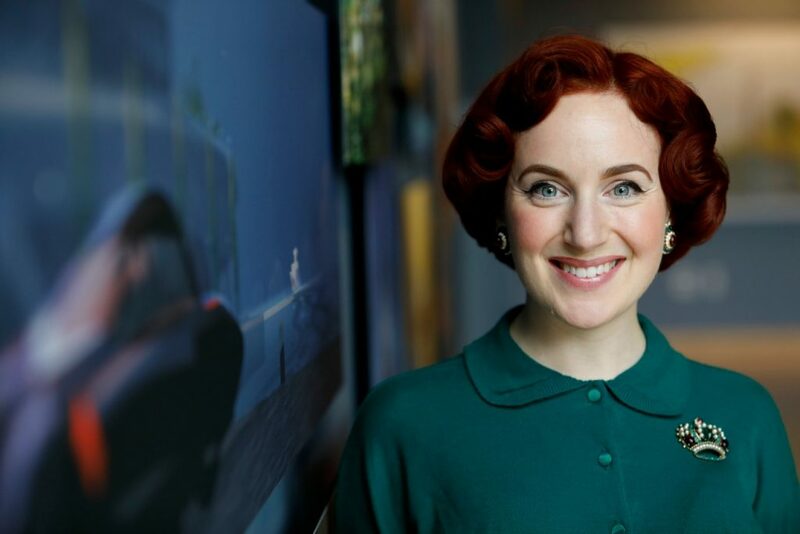 One of the new characters in INCREDIBLES 2 is named Evelyn Deavor. Evelyn works hard, so she likes luxurious clothing. Bryn looked at women like Patti Smith, Diane Keaton and Annie Lennox when outfitting Evelyn. Patti Smith wore a lot of mannish cut shirts, but the fabric was always feminine or the pattern, dainty. Evelyn’s style is bohemian and relaxed which is fitting to her character. One funny thing Bryn pointed out to us was the fact that when Bob is home with Jack-Jack, Jack-Jack never has clothes on! When Helen is home with him, she dresses him. So typical, right? When I think about costuming, math and science don’t pop into my head at all! I’m thinking it’s all about art and creativity. Not so! The world of 3D animation costuming is all inclusive. Think STEAM. It’s science, technology, engineering, art, and math all rolled together. I think Fran Kalal is the embodiment of STEAM! She told us her summer project is going to be sewing “all the outfits” from INCREDIBLES 2. She calls herself a costuming nerd because she loves to sew and recreate costumes. 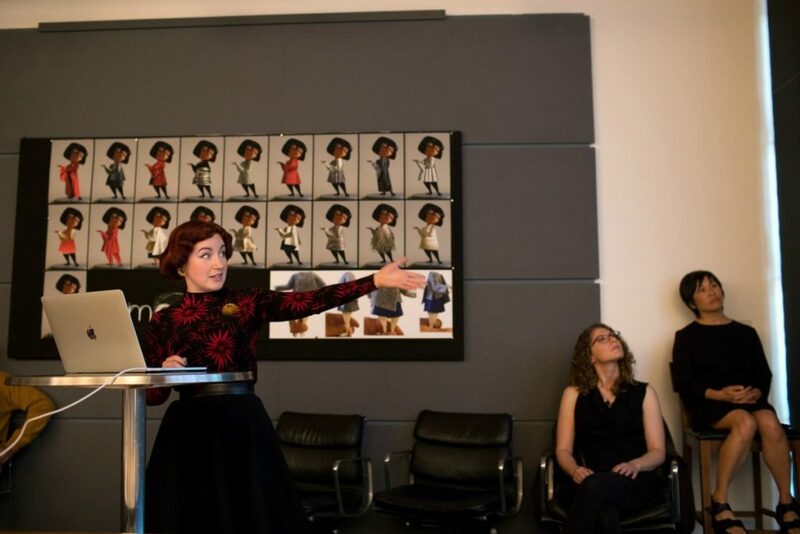 When it comes to tailoring in an animated film, they’ve got to start from scratch each time. 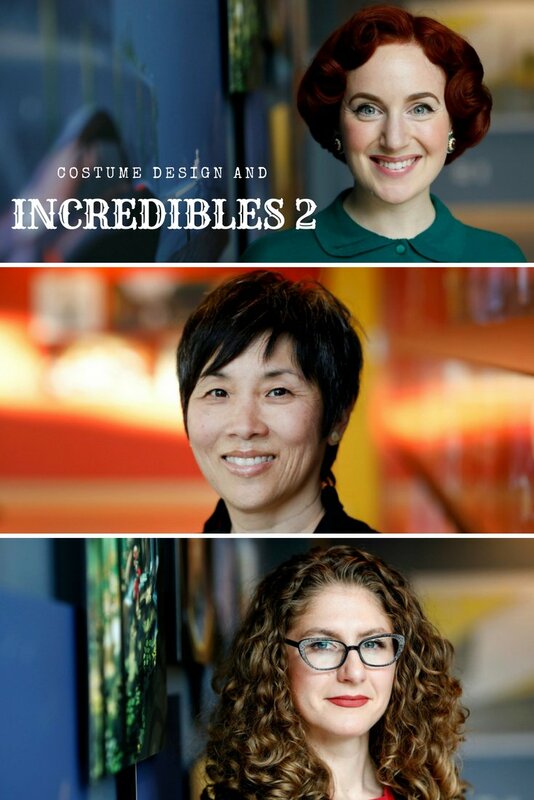 She used this as an example: You can’t take the outfits from UP and fit them into the world of INCREDIBLES 2. It just wouldn’t work. They build a 3D sculpture in their software first. Then they tell the costume how to move (which is invisible) and how to be visible which picks up the colors. Next, the team cuts the sculpture out and lays it out like a sewing pattern. Then they cut that into triangles (on the computer) and attach each triangle with springs and tell it how to move. You know how different fabric moves in different ways? It’s the same with this! They tell the computer which fabric they’re using, and the computer then moves the design in the way that a certain fabric moves. It’s all really technical and stuff, but it is fascinating. She showed us an example of Edna’s clothes. Her fabric is neoprene and neoprene wrinkles when you fold it. So when E is moving in a certain way, the fabric wrinkles the way it should. These three women are so inspiring. Hearing them give this presentation, listening to their excitement, seeing the passion they have for their work really got to me. I feel like I am finally getting my creative “groove” back after years of feeling mediocre. Being surrounded by not only these three creative women but also by 24 other creative bloggers was so uplifting. I want to be that little girl again who was so easily awed by creativity. Though I may not be able to weave a costume for Elastigirl or Frozone, I can weave words that inspire and entertain. Follow your passion. Teach your children that having a big dream is a great thing! Show them that being themselves is the best thing they can be! Let them be like Deanna and dress in the style that fits them best. Encourage them to be like Bryn who IS an encourager, and who says for something to be beautiful, it doesn’t have to be pretty. Give them the tools to be like Fran. Don’t neglect art in favor of science or something that seems more “academic.” Your kids are unique. You are unique! Be true to yourself, and love who you are. June 15 is approaching quickly! Do you have your INCREDIBLES 2 tickets yet? You can get them on Fandango now! While you’re waiting for June 15 to get here, check out this “Suit Up” sneak peek!